Tuuli began her career at McCann-Erickson in Helsinki as an Assistant to the Art Director, quickly climbing the ladder to become one of their most sought-after Art Directors. After working with other agencies, she broke out on her own and in the early 90s, moved to Brussels and established her own freelance brand, INSPIRIT International Advertising. Tuuli has worked with European and international organizations including the European Free Trade Association (EFTA), the World Health Organisation (WHO) and the Global Reporting Initiative (GRI). 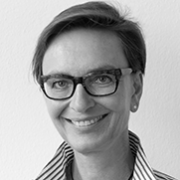 She is a Juror at ico-D Sustainability Standard and a Board Member of the Union Design of Belgium.